Disclaimer...just our opinion from 25 years experience at this gig! What's with the picture of a sweet 93 Mustang convertible, an airplane, a buncha taxis, an odometer with 300,000km and and ugly old minivan? These picture tell a story, aka proof because maybe you are new at the car buying horror. Maybe you don't know much about mechanics. Maybe you've been led astray by some jackass who thinks he knows mechanics and automobiles. The dreaded ﻿"Someone Said Guy" has been a disease on the automotive industry for decades and must be debunked whenever he speaks. He's the fool with no credentials that shoots his mouth off with no experience, research, proof or evidence that what he says is true. OK, picture #1 is a popular Mustang Foxbody GT square headlight series which was made from 1987 to 1993 and then that style was discontinued. They were redesigned like all automobiles. (Some said the fun ended in 93) Nobody can buy a 1993 Mustang GT as a new car anymore. "Someone said to only buy blah blah blah or newer cause it will last longer." OK, by saying "That car is too old" means sorry no Foxbody Mustang for you. This particular car is simple, fast, fun and extremely reliable with little maintenance. 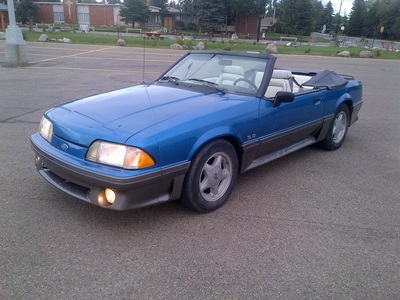 This particular Mustang still pictured above exists and had 225000km when sold. It's old and has lasted over 20 years. 'Mr. Someone Said" is wrong and this is proof" So if it was well built and reliable and you can still get it, that may just be a priority no matter when it rolled of the assembly line? If an auto is the best of the breed ended that ended in a particular year that is just reality! Embrace it, deal with it and tell 'Mr Someone Says" he's an idiot. Next up, the airplane..... "Someone said to not buy high mileage because it will break down." 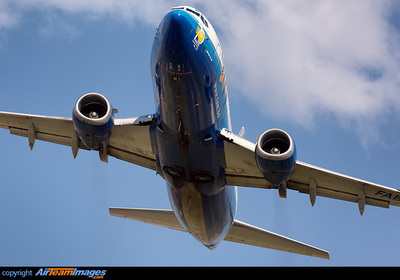 OK then, does that 'someone' fly on airplanes?" That mileage is at least in the millions. To go with that logic means that airplanes are dangerous because unlike a car they will fall out of the sky, but that rarely happens. The simple scientific answer is MAINTENANCE AND REPAIR. 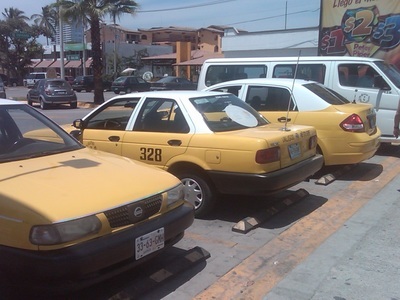 Which brings us to the Mexican taxi's. If these cars can run over 400,000km because they were engineered well and serviced regularly. Is it fair to say "high mileage and cared for" should be what's most important? The automobile is for driving and eventually will break down if neglected. Shopping for a well cared for vehicle should be the priority? Yes "Mr Someone Said," Taxicabs, even where we live do carry passengers and rack up lots o' miles. Perhaps paying attention to what makes the best taxis, police, military, emergency and other service vehicles should be the lines we read between. Take a peek at the odometer of the next cab you ride in and note the make and model. 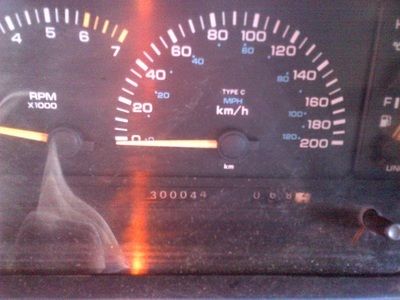 Finally dear "Mr Someone Said," the 300,000km odometer is from the ugly old 1994 Dodge Grand Caravan AWD in the last photo. Not only is it an old van, it is is a well built van and did require some maintenance to be at the mileage it is today. 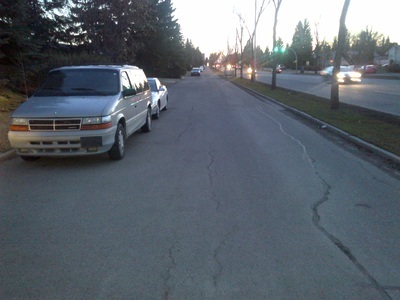 This van belongs to Jay and has been trusted and used with nothing but confidence. AKA the Benjauto service vehicle used and abused since 1999 when it was taken on trade. Sorry not for sale as it's to valuable as a learning tool to put "Mr Someone Said" right in his place. Do the research and ask advice of qualified professionals. Experience in the field of questions is important. If the mechanic who works on the type of vehicle you are interested in says they are junk, maybe he's right. If the autobody guys says that's car ain't gonna hold up in an accident perhaps trusting his opinion is wise. If the cab driver or police officer in the cruiser says great car, that's credibility.